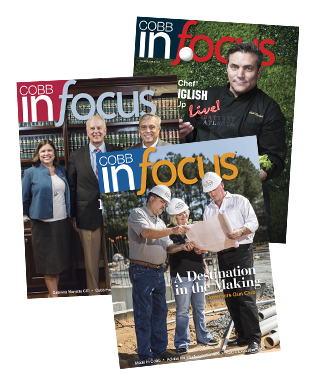 Cobb In Focus is published six times a year by New South Publishing, Inc. and reaches 58,000 affluent readers in Cobb County with every issue. The magazine is all about Cobb–from government and financial news to county events, awards and achievements. Community is a major highlight and with every issue we are sure to bring the best of the county forward. 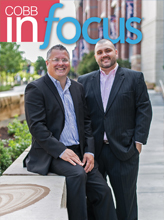 At Cobb In Focus, we consider living and working in Cobb County a privilege. With more companies and families making the move to Cobb, it’s clear that the county is thriving. Our magazine is a way to connect with other Cobb businesses. Each issue celebrates the advantages of the community, while giving you the tools you need to flourish in your professional life. Cobb In Focus is mailed directly by name to Cobb County leaders, business owners, doctors, dentists, lawyers and government officials.